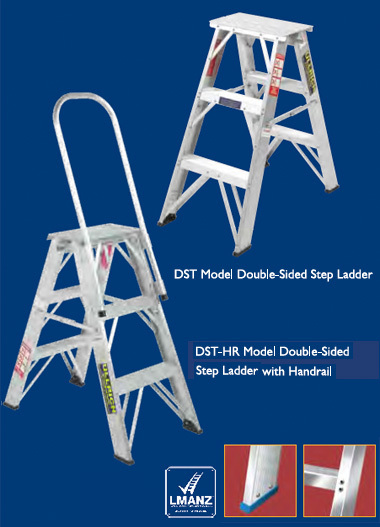 Ullrich supply both Aluminium and Fibreglass Double Sided Aluminium Stepladders. 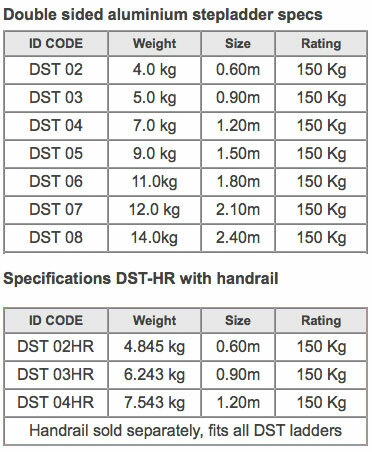 Ullrich double sided aluminium stepladders exceed Standards Specification ASNZS 1892.1:1996. They have sturdy aluminium construction for added durability and safety and their heavy-duty, surface-gripping rubber ends enhance stability under load. Ullrich double sided aluminium stepladders are strong - they have heavy-duty rubber end grips and are constructed with heavy-duty double rivets.